Mykonos is a popular tourist destination in the Greek islands. Its natural beauty and stunning landscapes contribute to this reputation, as well as the quaint little streets of the local towns. 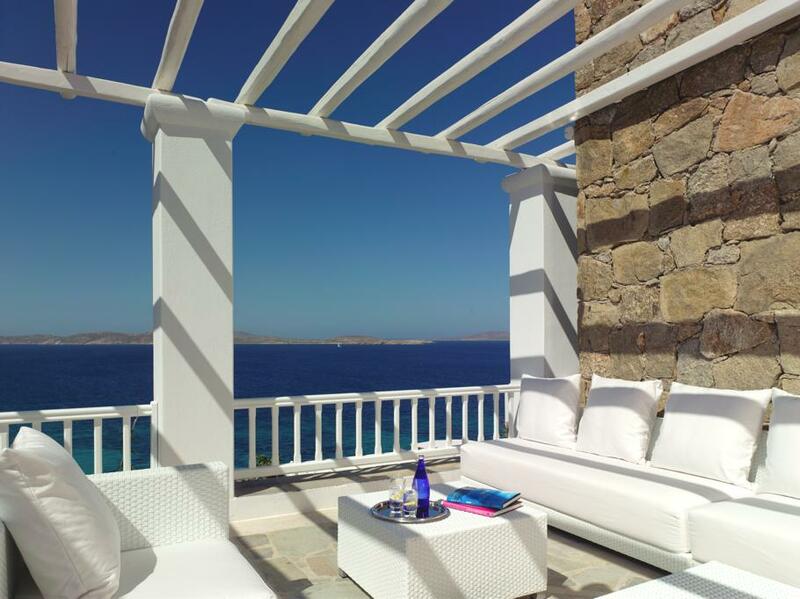 Luxury comes in bucket loads in Mykonos – the place is dripping with stylish hotels, elegant rooms and facilities, pools and saunas. A visit to Mykonos provides you with the ultimate relaxation on one of the many beautiful beaches as well as the option of trendy bars and restaurants if you’re looking for a bit of a lively nightlife. It has to be said that Mykonos lives up to its positive reputation as an excellent holiday destination, and to stay here at a luxury hotel or resort really adds to the island’s sparkle. Built into a cliff-side, Cavo Tagoo is a multi-pooled paradise of a luxury hotel, minutes from bustling Mykonos Town in the Aegean Islands. 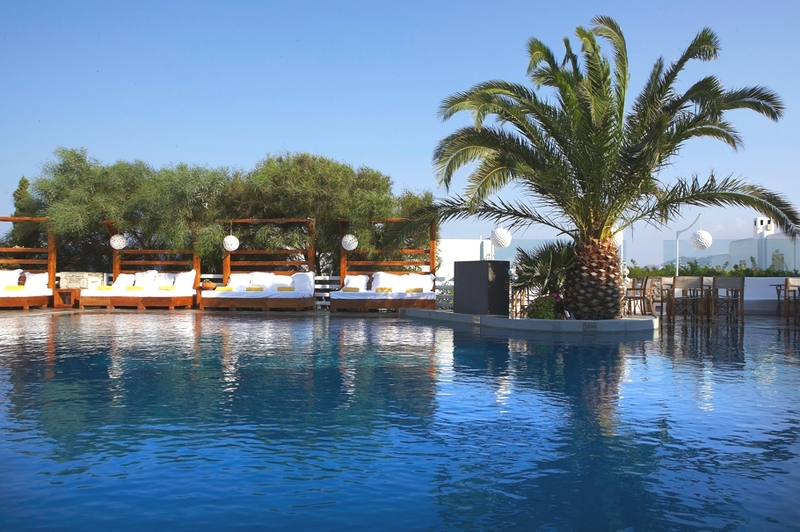 Spacious and chic, this boutique Greek hotel getaway offers five-star spa pampering, tranquility and luxury for all. 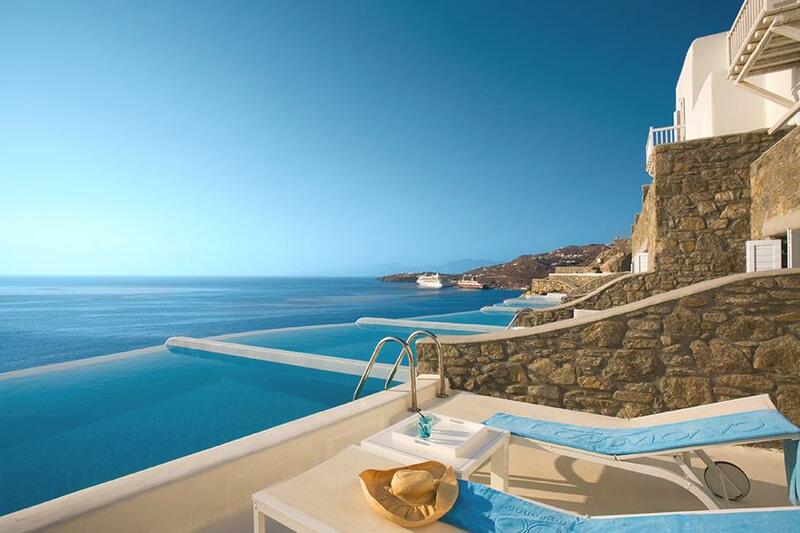 In harmony with its awesome setting rises Mykonos Grand. A luxury beach resort inspirationally conceived to capture the essence of surrounding natural wonders and host the most welcome and appreciated guests with world class luxury.